Target has a really great upcoming event, if you have kids who love Our Generation Dolls or Plush Animals! 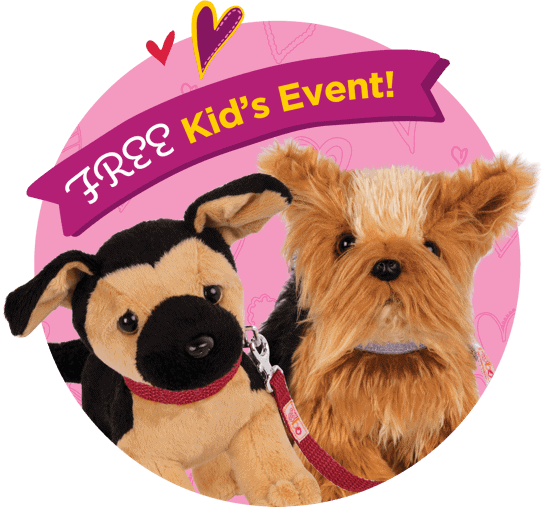 They are running an Adopt a Pet event and kids are invited to bring their Our Generation doll, choose a free 6” plush dog to adopt and pose for photos with their friends. The event is Saturday September 8th, 2018 from 10AM to 1PM, but you must register to attend the event by August 27th here. You will want to register for a confirmed spot for these events if you plan to go (they are limited spots and times), but that will give you confirmed tickets for the events. They will accept walk in participants, but only on an as available basis and based on past events for free toys I would expect they will run out of plushes early. Locations are already filling up, so I recommend registering soon as I think many of these places will run out of spots soon!